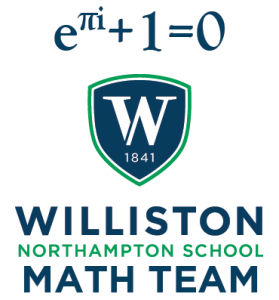 The next round of the New England Math League will take place on Thursday, 1/11 from 2:35 to 3:45pm in Schoolhouse 25. The competition lasts 30 minutes and you can begin any time before 3:15pm. Calculator are allowed! Anyone at any level of math is encouraged to participate! Competition content goes through Algebra 2! After a strong showing on a very challenging 3rd round of the New England Math League, we are holding quite well at 20th out of 150 schools! Of particular note is that sophomore Steven Wang is currently tied for 3rd out of over 1,100 individual league competitors! Try your hard at the questions right here! Team results after 3 rounds! 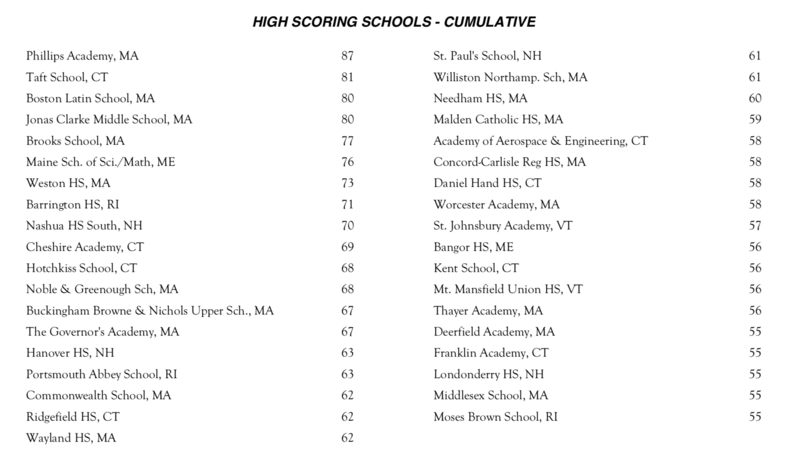 Previous PostAMC8 Results 2017Next PostUp to 16th place in the New England Math League!